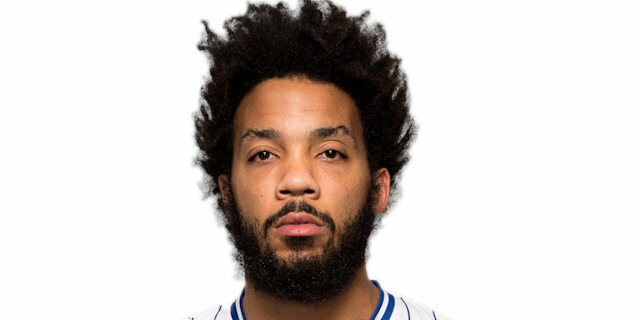 Marcus Williams’s pull-up three-pointer with less than a second to go lifted Unicaja Malaga to a 65-67 victory over Alba Berlin at o2 World in the German capital on Thursday. The shot capped an exciting game with both teams in it until the buzzer. 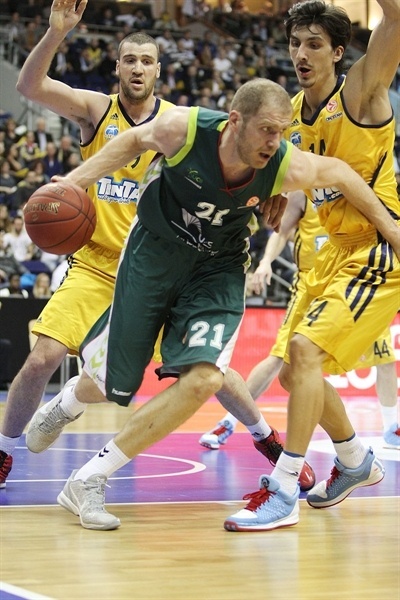 The win gave Unicaja a 3-4 record and brought it within one of fourth place at the midway point of the Top 16. Alba slipped to 1-6 in Group E. The hosts seemed to gain the momentum when they took a 42-34 halftime lead, but Krunoslav Simon opened the third quarter with 3 three-pointers to put Unicaja back infront. 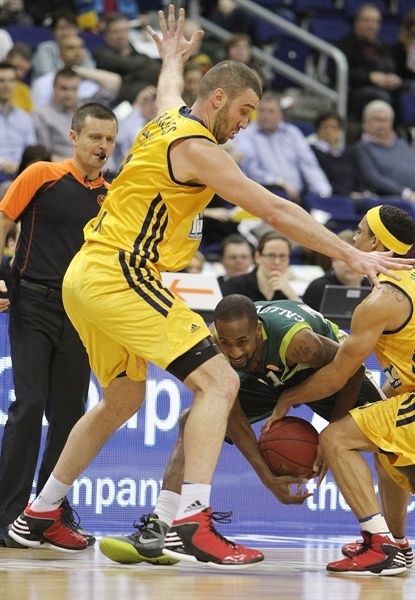 Alba regained control early in the fourth quarter after a technical foul on Luka Zoric. 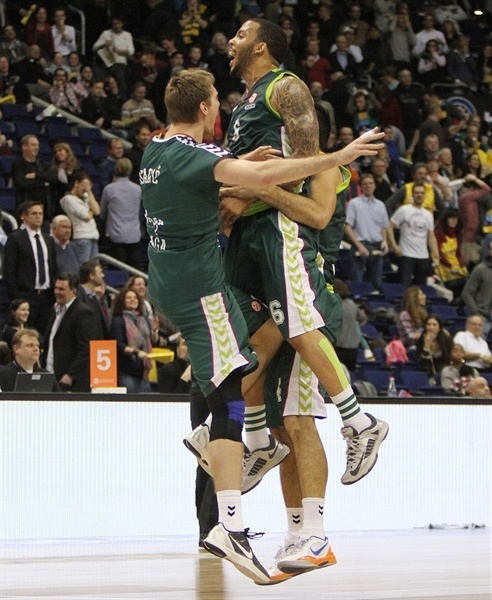 Unicaja stayed close from that point, but did not go ahead until Williams sank his game-winning shot. 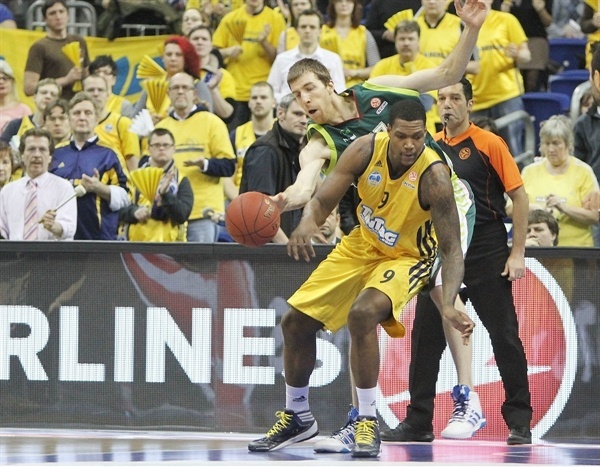 Simon paced Unicaja with 12 points, Fran Vazquez added 11 and Earl Calloway and Williams each finished with 10. 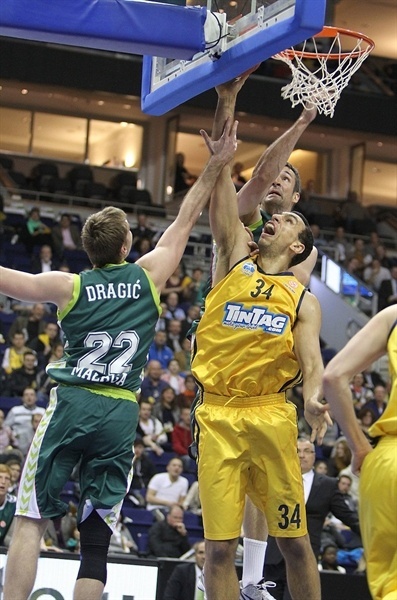 Deon Thompson totaled 16 points and 9 rebounds and Nihad Djedovic also scored 16 in defeat for Alba. Unicaja got the start it wanted as Calloway drained a triple and Simon converted a three-point play in transition before Thompson broke the ice for Alba from the line. Simon provided another highlight with a block on Derrick Byars, but the hosts fought back. Following a Je’Kel Foster triple and a Byars jumper, it was 7-8. A second-chance layup by Zoran Dragic put Unicaja up 5 midway through the quarter. Zach Morley came in for Alba and soon sandwiched a pair of baskets around a Calloway triple. Morley followed with an assist to Djedovic before the latter used a pretty spin move to get Berlin within 15-17. 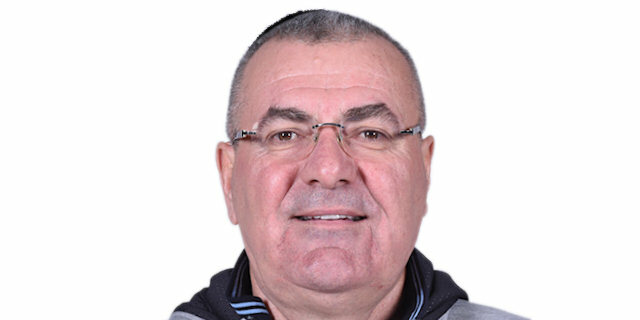 Heiko Schaffartzik struck from downtown to even the score and Yassin Idbihi gave Alba its first lead from the line, however Calloway ended the quarter with a step-back three-pointer that made it 20-22. The teams traded baskets for several minutes to start the quarter before a Djedovic layup put the Albatross up 26-24. A pair of baskets by Thompson helped Berlin hang on to the lead and a Foster triple extended it to 33-28. Vazquez answered quickly with a basket-plus-foul, however a trio of steals by Wood resulted in baskets for Thompson and Wood and ensured the hosts remained in front and increased the lead to 39-31. 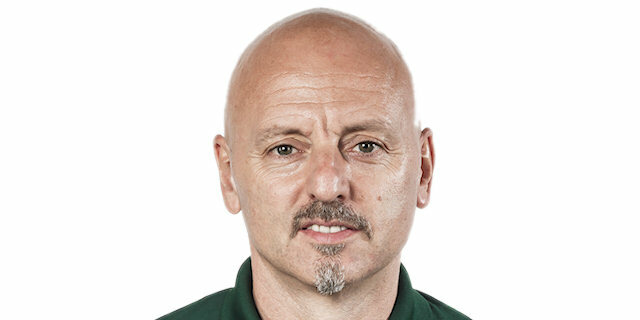 Luka Zoric revived Unicaja with a three-point play before Djedovic layup left the hosts with a 42-34 halftime advantage. Simon drained 3 three-pointers in the first 90 seconds of the second half to bring his team right back. Andy Panko capped a 0-11 run before Djedovic free throws ended the hosts’ drought. 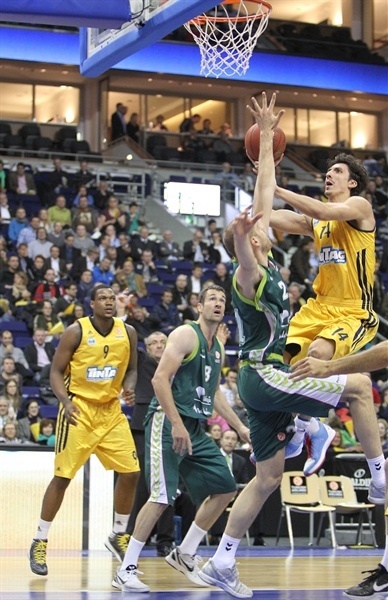 Neither team found the basket for over two minutes before Djedovic put Berlin in front again, 46-45. 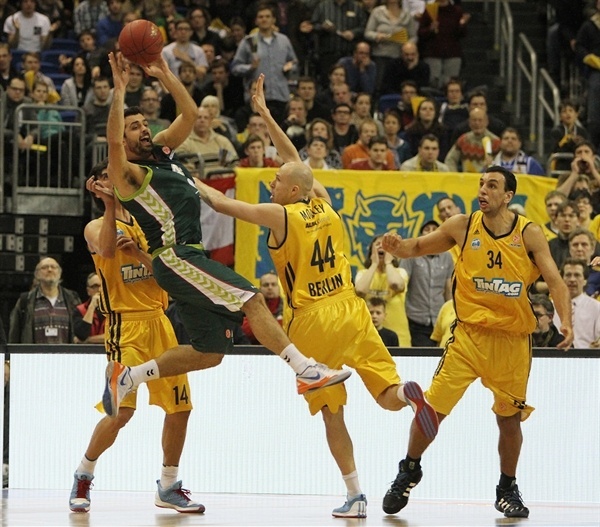 Panko connected from downtown, but Alba captain Sven Schultze evened the score. Kosta Perovic came through with Unicaja’s next 7 points – 5 of them from the charity stripe – to lift the visitors to a 51-55 lead through three quarters. Williams and Djedovic swapped jumpers to start the quarter. 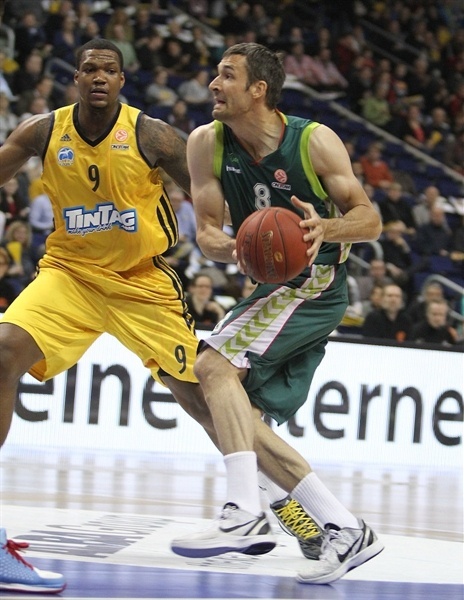 Djedovic continued his strong night by trimming the deficit to 55-57. A technical foul on Zoric changed the game as it sent him to the bench with 5 and allowed Foster to even the score before Thompson’s tip-in gave Alba the lead. Vazquez followed with a long jumper to tie the game at 59-59 midway through the quarter. Perovic scored inside, but Unciaja’s lead did not last long as Wood drained a triple from the corner and Thompson muscled his way through Perovic to make it 64-61 with three minutes to go. After a timeout, Vazquez drilled a baseline jumper. Thompson and Williams each split free throws to keep Alba up 1 with a minute left. 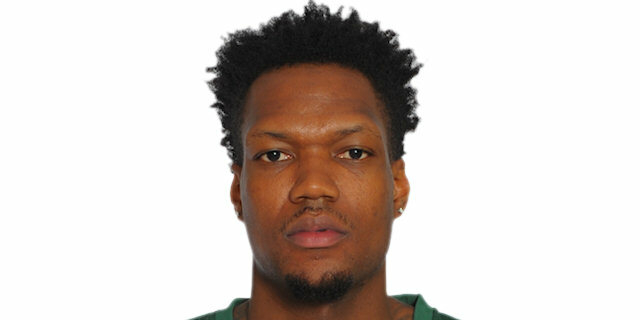 Unicaja got the ball with 20 seconds left and after winding the clock down, Williams pulled up for a long three to win the game. 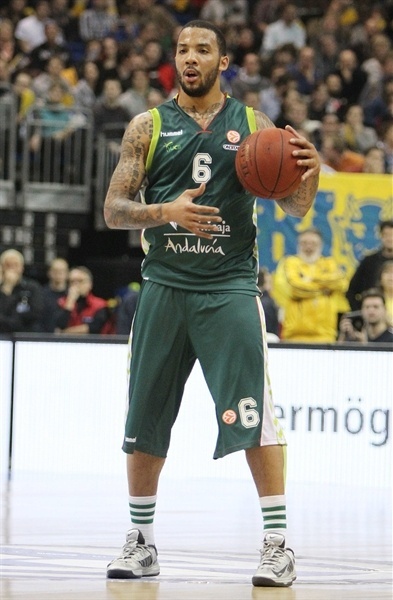 Berlin lobbed a clever ball to Thompson, but he missed a tip at the buzzer as Unicaja went away with the win. "This was our third game against Malaga in this season and for the third time Marcus Williams was the game-winner against us. Today he was completely out of the game all game long, but he hit the decisive shot. Big players always find a way to execute. We played better and with more intensity than in the last couple of games. We still had too many turnovers, but in many other aspects we can look more enthusiastically into the future after this game, although we unfortunately did not win it. In our last offense before Malaga's game-winning shot we came into panic, we did not have an idea what to do. In such a situation we should not be afraid of missing, but I had the impression that all the players had certain fear about the decision. We have to learn to not be afraid of winning a game in the Top 16." "We started the game very focused and controlled the rebounds, which was our main goal for this game. Then in the second quarter we completely lost our focus, turned the ball over 7 times and let Alba score many easy baskets, which resulted in Alba’s 8 point lead at halftime. In the third quarter we found our system defensively and ran the fast-breaks. In the end, I think, that we deserved the win. Maybe Alba would have deserved the win in the same way tonight, but that's basketball. For us it was a very important game, because we want to continue to compete in the Euroleague and we have a much better schedule in the second half of the Top 16. I hope this win will help us stay in the fight for the next round until the end. " "Already in our regular season game in Malaga, we were very close to a win and let it slip away. Today we already had the win in our hands and let it slip away almost in the same way. This is very frustrating. " "It was a tough game for us. We started high and then went cold. It became a game of runs, but we got some crucial stops late in the game. For the last shot I had an open look and I shot it. That's all. It was a lucky shot. "